We are heading into the end of the school year around here – which means Cole is finishing up pre-K4 (::sob::), and Adam graduated with his THIRD Master’s this month. I have gone into crazy Class Mom overdrive – we finished the yearbook last week, put the finishing touches on a graduation project this morning, and generally live at the school. Poor Lulu just gets dragged along wherever I’m going! 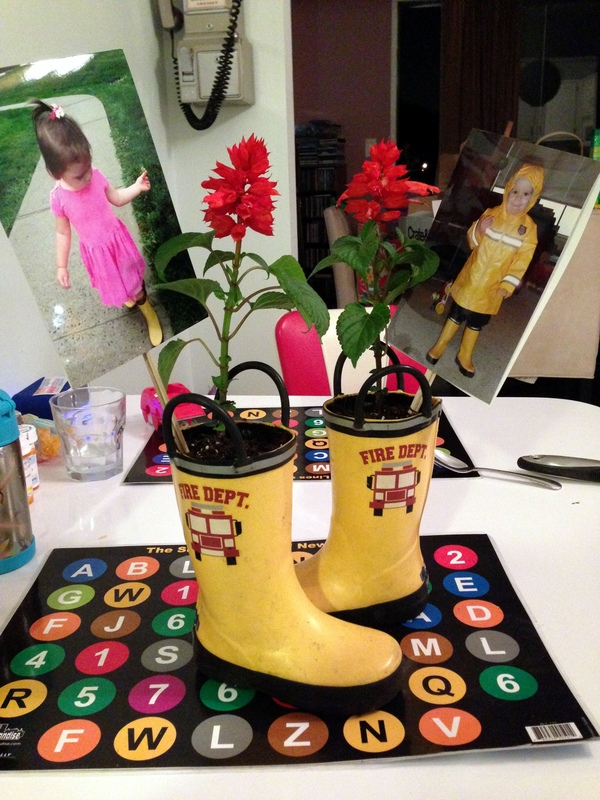 May saw some action on my hot glue gun, and I wanted to share a few Pinterest triumphs. (Oh, how I love Pinterest.) 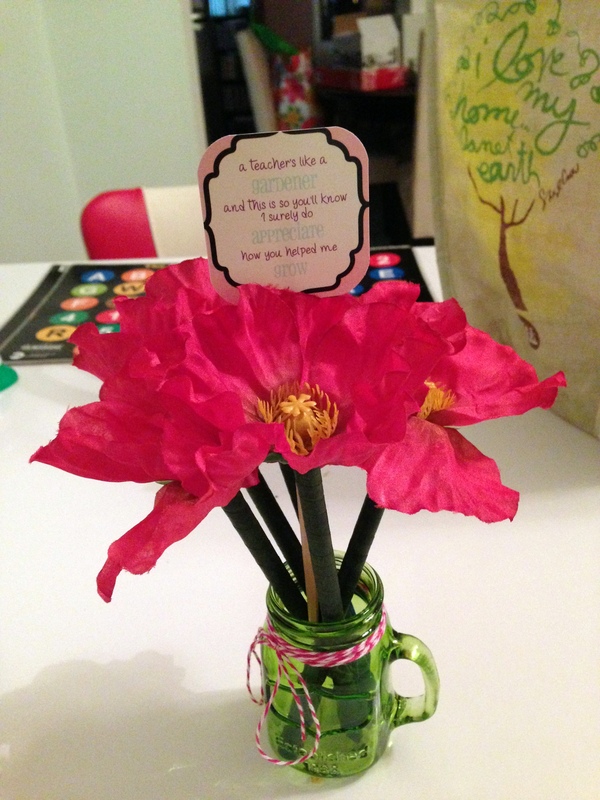 It’s too late to use these for your own teacher appreciation/Mother’s Day gifts this year, but posting them early would have ruined the surprise – so maybe you can try one next year if you’re so inclined? Or an end of year teacher gift? 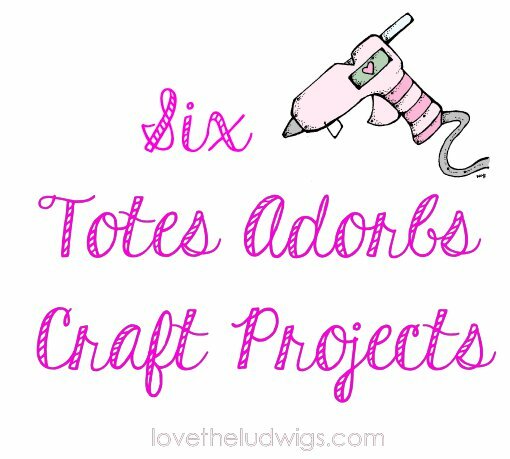 Each of these projects cost well under $10, and most took less than 20 minutes to put together. Inexpensive and easy for the win! Where I can, I’ll be putting affiliate links in here. So I can start making my millions off the blog. You know. These came out delicious and super cute – I was a little worried after finding a BUNCH of different failed versions online. Because really? If anyone can take a simple craft and mess it up? That’d be me. ESPECIALLY if there’s anything resembling cooking involved. 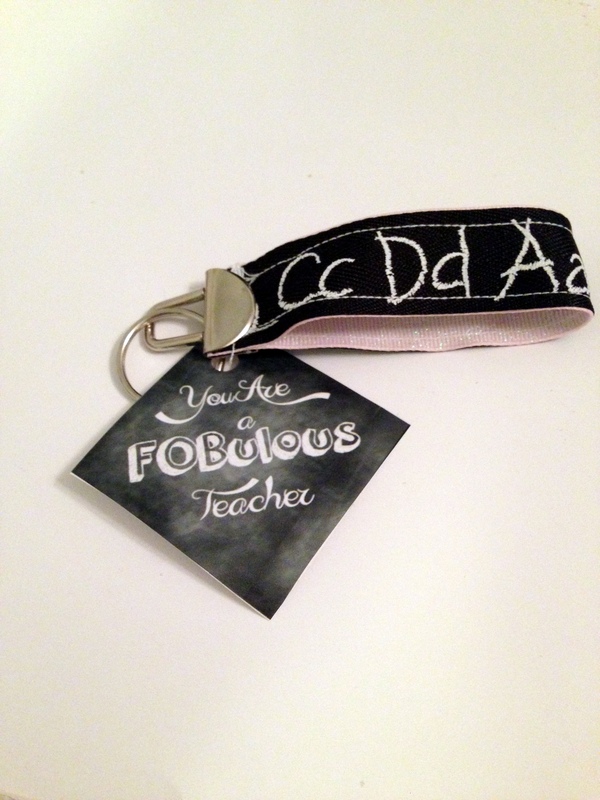 Elena over at Craftibilities has the full directions AND a free printable for the cute tag. I used a copycat Magnolia Bakery recipe for thecake and the frosting, but most of the rest was as she instructed. Jars – I found my cute little jars in the wedding section of AC Moore (on sale! with a coupon! That NEVER happens. ), but these would work well. Gel Food Coloring – Make sure you use the gel kind to get the nice, vibrant colors. Spoons – So your lucky gift getter can dig right in. Get them at the dollar store. It is kind of embarrassing how simple these were. I managed not to bookmark the original site I saw these on, but really they are everywhere. If you really need some directions, a simple search will get them for you. Faux flowers + stick pen + floral tape = Easy, adorable gift. I found the tiny Mason jar mugs at AC Moore, but almost any small container would work. I found directions after I had already given my bouquets that recommended using a layer of Mod Podge to seal the “stem,” so I think I might do that next time. Grammy Boo bought me a sewing machine this winter, and I really want to learn how to use it – Lulu will be SWIMMING in pillow case dresses! I found this project on She’s Kinda Crafty, and it seemed like something I could handle. Throw in cheesy pun gift tag and this was DEFINITELY a craft for me! My sewing lines might not be the straightest, but I as pleased with how the fobs came out – I will definitely be making these again in the future. Hardware<– Not an affiliate link, I <3 Etsy. Ribbon – so many pretty colors and patterns! Pliars – I just used regular pliars with fabric wrapped around the tips. This does not even count as a craft because really, it was just a matter of cute presentation. 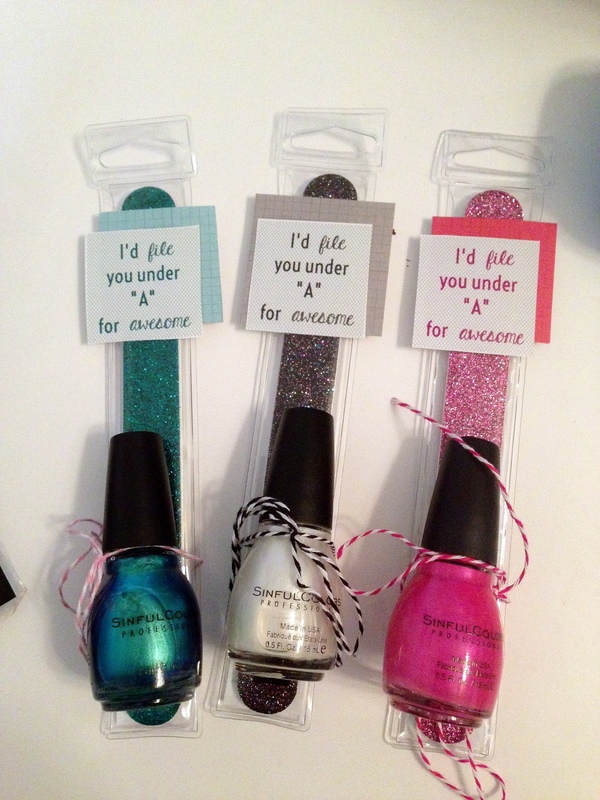 I picked up a few bottles of bright nail polish, and coordinating nail files. This was another She’s Kinda Crafty inspiration, and I mostly copied her punny gift tag, but I used my own background/colors. This is a foolproof last minute gift. Orange You Glad It’s Summer? 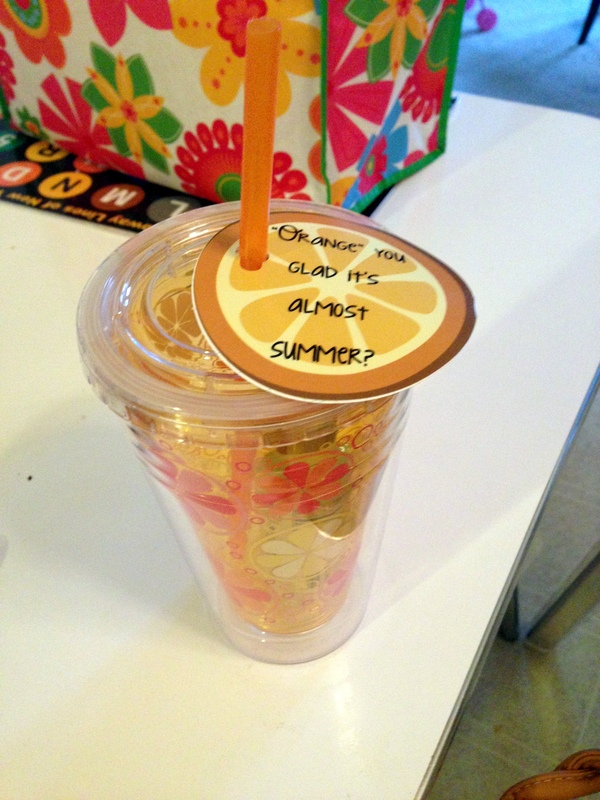 Insulated Cup – As I said, my cups were from Christmas Tree Shops, but any orange cup would do. I love this wine tumbler, too.